One of the first tasks of tasting Chinese teas, for me, is to decode the information contained in a tea's name. In this case, Tianmu is a mountain located in Hangzhou City. The city is part of Zhejiang, a province south of the Yang Jiang River, known for the production of Long Jing, Anji Bai Cha, and Huiming on its montane plantations, according to Gascoyne et al. (2014). Tian Mu Qing Ding is also known as Tian Mu Yun Wu. Qing ding translates to love and I must say I rather enjoyed this green tea. TeaVivre provided a sample of the organic version of this tea for my review. I infused 3.12 grams in 6 ounces of 185F water for 3 mins with an additional minute for subsequent steeps up to 5 minutes. The dry leaves are very hairy (they are leaves not buds; the buds are revealed as the leaves unfurl). 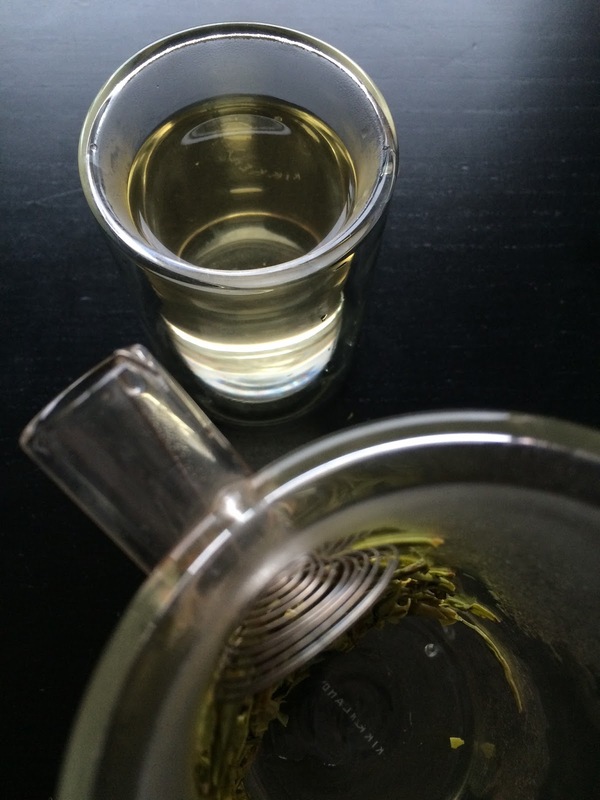 The first infusion was a remarkable clear, shiny, pale yellow green liquor. The tea smelled and tasted sweet. There was a crisp vegetal note, too, as well as a sweet nuttiness. The liquor was smooth, almost velvety, and immediately cooling. July 7th was a very humid day. On the second infusion the leaves had opened fully so the pluck style was visible. This reported picking style for this tea is one bud with one leaf or one bud with two leaves. I also observed single leaves and one bud with three leaves. All the leaves were small. The liquor was a light golden yellow with a subdued sweetness. A dry, grassy character had emerged and the nutty note had strengthened. The vegetal flavor had not disappeared but it was more starchy than sweet. I detected toasted sesame seeds especially on the tail note. The third and final infusion was the most savory. The nutty flavor had evolved into toasted sunflowers seeds. There was the last vestige of sweetness on the tail note. 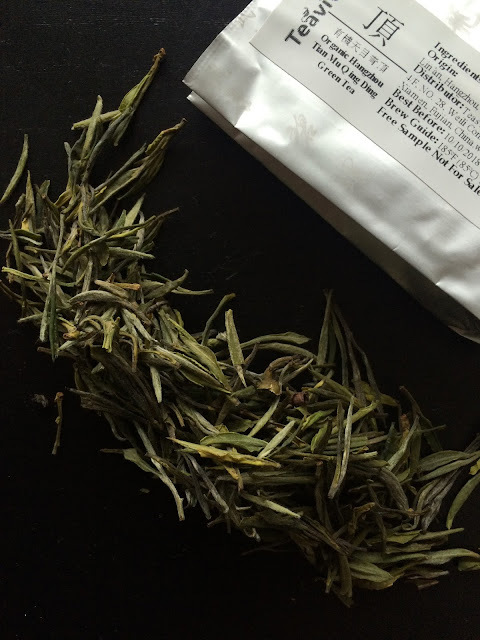 TeaVivre has consistently good teas, and this Tian Mu Qing Ding is no exception. I would drink it hot or cold. In fact, I am cold steeping a few grams as I type this review. 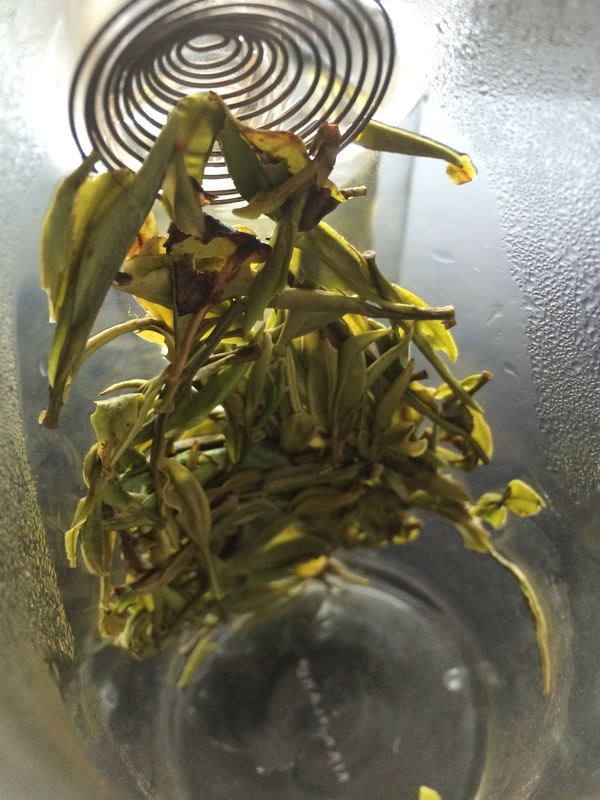 The Organic Hangzhou Tian Mu Qing Ding reviewed in this post was provided by TeaVivre.